Pinterest started in March 2010 as a simple photo sharing application. Within these short 5 years 70,000,000 people have discovered the ‘power of the pin’. Research shows the future of Pinterest is a connection medium for businesses and customers. 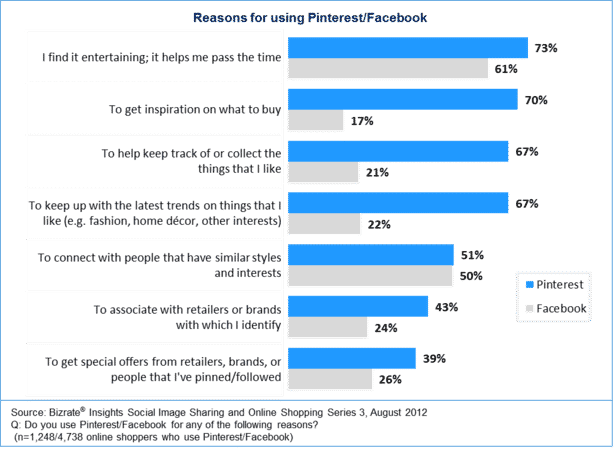 43% of surveyed people say they use Pinterest to associate with a brand or retailer, compared to only 24% of Facebook users. 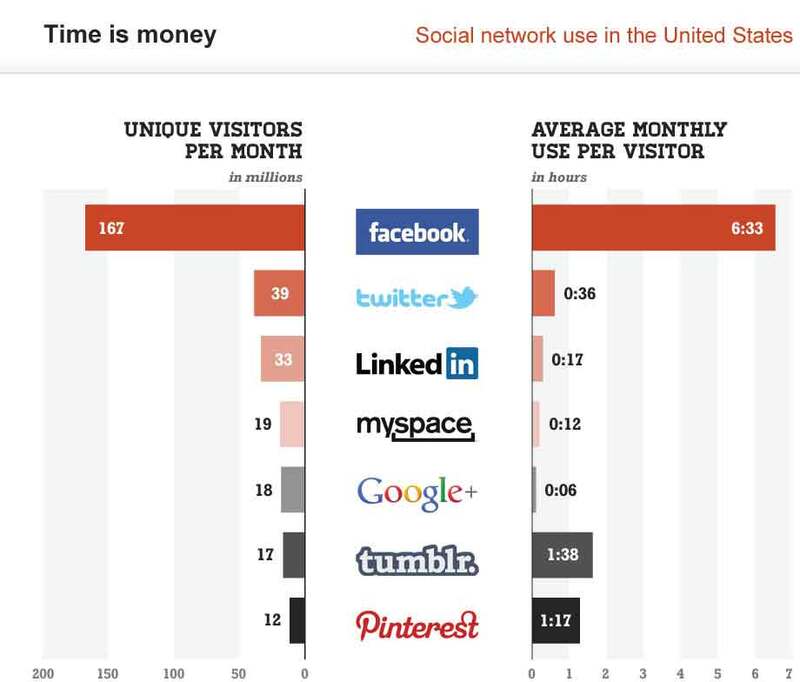 Pinterest users also spend more time per session than all but two social media sites. With well over an hour per month spent on the site, the Pinterest visitor is a captive and attentive visitor. For any business – digital or physical – it’s an easy to integrate sales funnel that can also help boost your reputation online. There are several simple methods that will help you begin to channel Pinterest traffic to your business. The most important Pinterest tip is to prepare your website and Pinterest account for integration. You’ll want to properly lay out your Pinterest Business Account to provide as much information as you can. Additionally, it’s a smart move to target your product keywords with the names of the boards you plan on using. Perhaps the best way to rapidly increase your Pinterest following is to allow users browsing your website to Pin your items to their own boards. This means adding social media integration to your own website – if you’re using WordPress, the Shareaholic plugin does this for you. Users browsing your site may see something they want or think is worth sharing – and once it’s added to a ‘wishlist’ board, that item (and your site) get an increased chance of click-throughs. According to a study by Shopify, pins with prices get 36% more likes than those without. Pinterest has made this easy with their Rich Pin integration. It allows you to provide background information on the products that you’re designed and have that pricing info displayed to everyone viewing the pin. A less-known feature of the Rich Pins is the ‘auto-update’ feature. When a Rich Pin that was pinned to a board experiences a price change, everyone who has pinned it is notified. This lets you bring people back to your pins long after they’ve been pinned it – an incredibly valuable but underutilized feature. 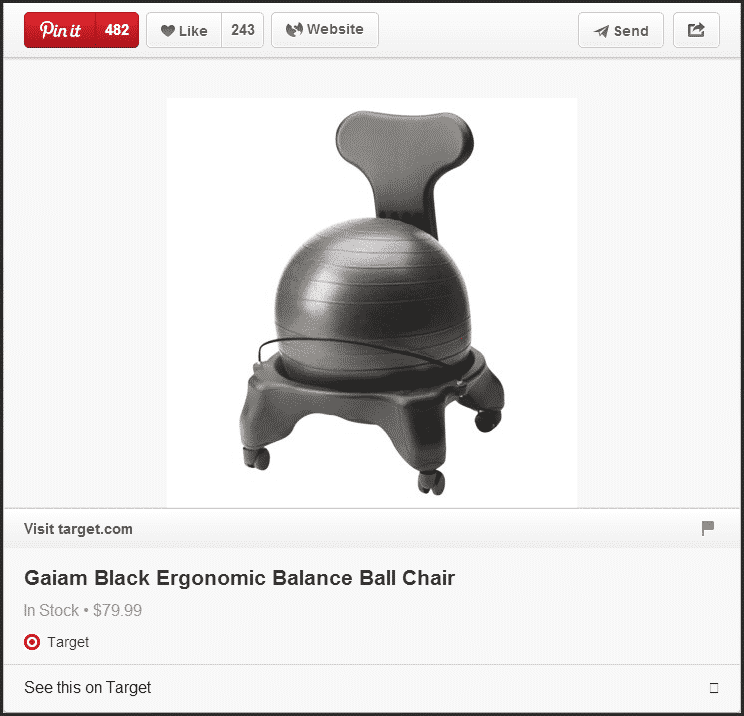 Pinterest is a social media board founded on the basis of community interaction. In the same spirit, collaboration with other players in your niche can potentially be a profitable move. Whether it’s a mutual re-pin agreement, a friendly history of interaction, or an outright shout-out to a similar business in your niche – a positive relationship with other movers and shakers does nothing but accent both sides. 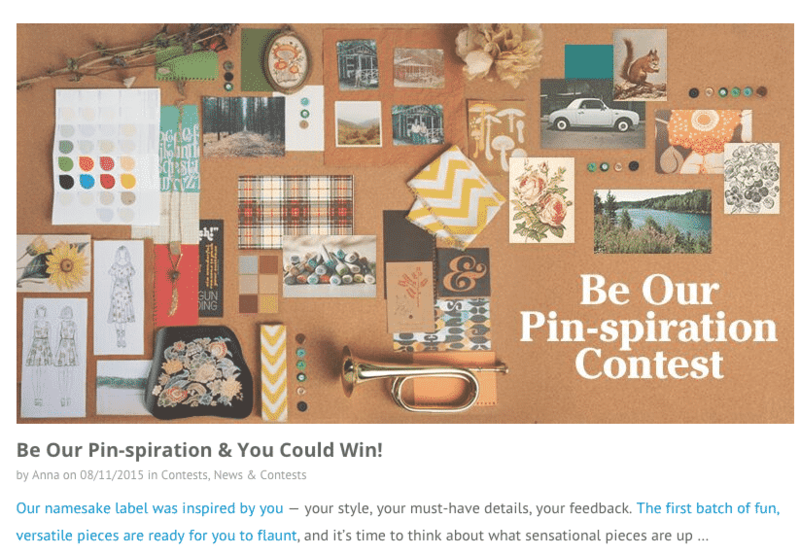 Pinterest recently tightened restrictions on contests, but they remain one of the best methods of creating buzz and generating interest. For example, ModCloth’s contest. This contest was very successful. By encouraging users to share their content across their personal network, ModCloth received record numbers of user engagement, increased exposure, and a bump in the qualified traffic sent back to the site. The key to implementing a successful contest is to deliver something that your potential audience wants (a gift card), and pair it with an action that has a low barrier to entry (a re-pin). By making it easy and popular to share your contest, your brand will continue to see increased exposure. Pinterest has the potential to be a powerhouse for your business. It’s a brilliant platform that continues to grow year over year, and as such, should be invested in early. Leveraging Pinterest to boost your business is a smart investment of your time and energy – the returns will make it worth it. Just remember, the key to continuous organic growth is keeping your users engaged – give them what they want, and they’ll do the same.